Living Dead Dolls Resurrection Series 4 at WackyStacker.com of Horror & Laughs! 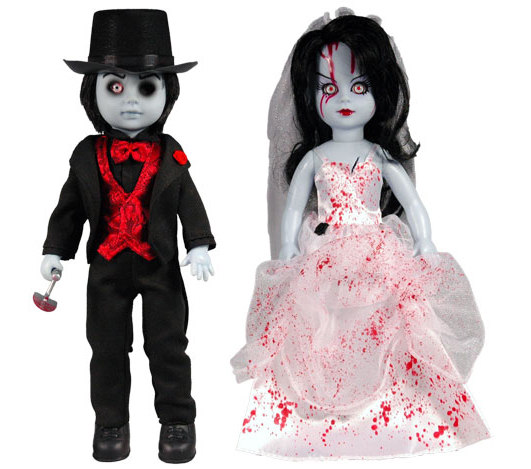 TWO OF THE MOST CELEBRATED Living Dead Dolls duos are reimagined as part of the popular Resurrection Series. Featuring glass-like eyes, redesigned faces & new outfits. Hazel & Hattie, bound in life and in death. 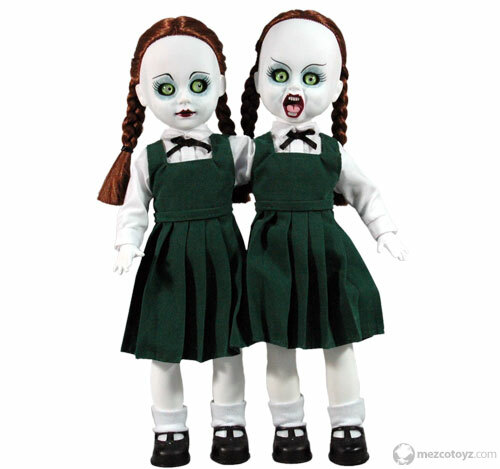 The conjoined twins rise once again, to haunt your living dead doll collection. These extremely limited edition dolls are packed in a gate fold collector friendly window boxes. Died & Doom, even in death they do not part. Taking vows that keep them eternally bound, happily ever after six feet in the ground.